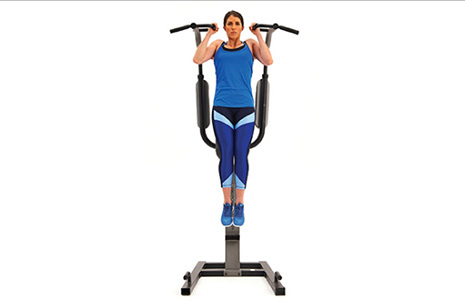 Q | I can’t do a pull-up yet, but I really want to get there. Where do I start? A | Pull-ups are challenging for many people because they engage both large and small muscle groups — primarily your biceps, triceps, lats, and core. Read full article at, "Expert Answers: 4 Steps to Your First Pull-Up," Experience Life, March 2017.